Do you have any side dishes that are just iconic to your childhood? I’m sure you do! I have a few and most of them usually are side dishes we had during holidays. One such side dish is the classic carrot raisin salad. Nonetheless, I remember growing up enjoying carrot raisin salad which at the time was probably the most “healthy” salad I ate, considering it is mainly carrots. Apparently, carrot raisin salad is a Southern thing. I had no idea but it makes sense since it reminds me a bit of coleslaw and that has the same Southern vibe. 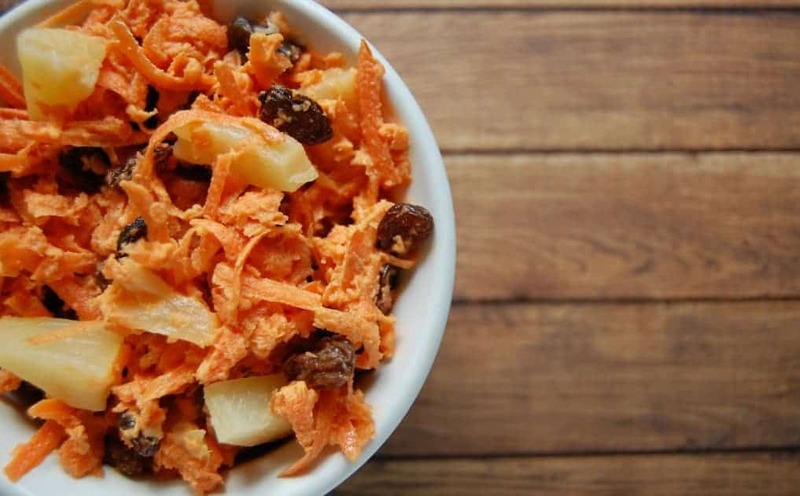 Traditionally, carrot raisin salad is mostly healthy: carrots, raisins, pineapple are all good things. 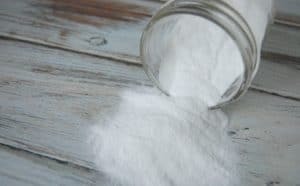 The iffy ingredients are the sugar and the mayonnaise if you aren’t careful which mayonnaise you buy. 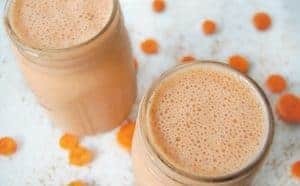 I took the classic carrot raisin salad recipe swapped a few ingredients for their healthier alternatives and added ginger because in our family we love the combo of ginger with carrots (as you can see for our sunshine carrots and sunshine carrot soup recipes)! This recipe is a cinch to make. Grating the carrots is the most time consuming part and if you use a food processor to do the job then it truly is very fast and easy! It can be hard to find a fast, yet healthy side dish that everyone (including kids) will love but this one does the trick! Even my oldest child who hates raw carrots loves this salad! 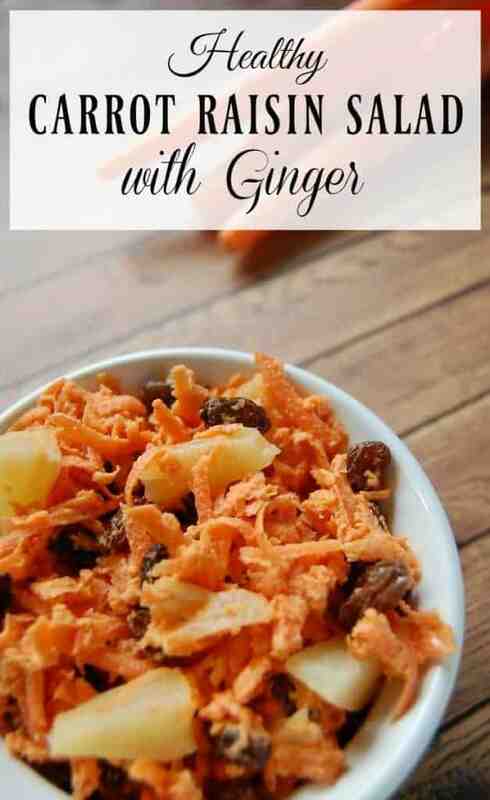 Place grated carrots, raisins, and pineapple tidbits in medium sized bowl. In a separate small bowl, mix together mayonnaise, honey, ground ginger, and salt. Add mayonnaise mixture to the carrots and mix well. Can be served right away but it’s best if you allow to sit in the fridge for a couple hours so that the flavors can really sink in. This looks delicious! I make a similar version with dried cranberries instead of raisins (have an abstainer in the family!) Either way — this is colourful, nutritious and always a hit!!! 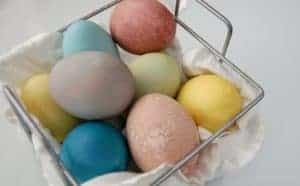 I have often made a recipe similar to this, but this one looks even better! I must try it!